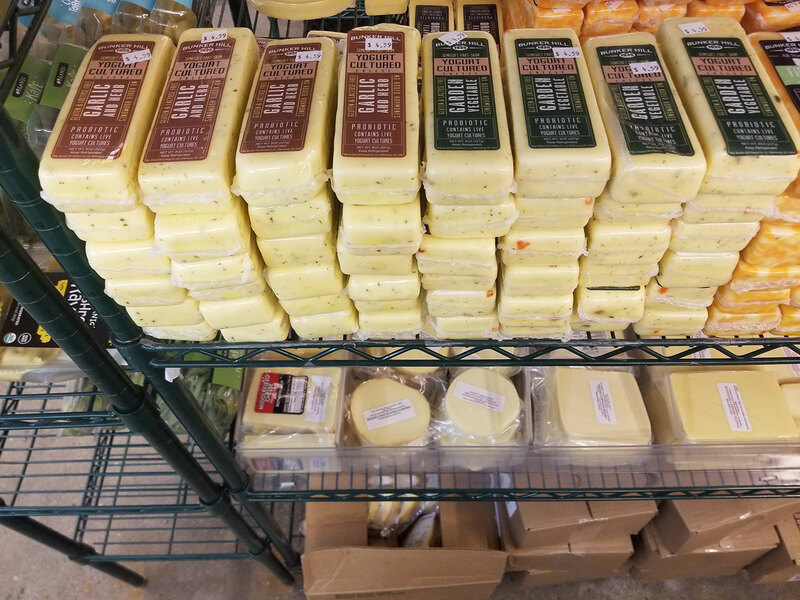 We sell Crooked Creek Dairy from Romeo, Michigan. 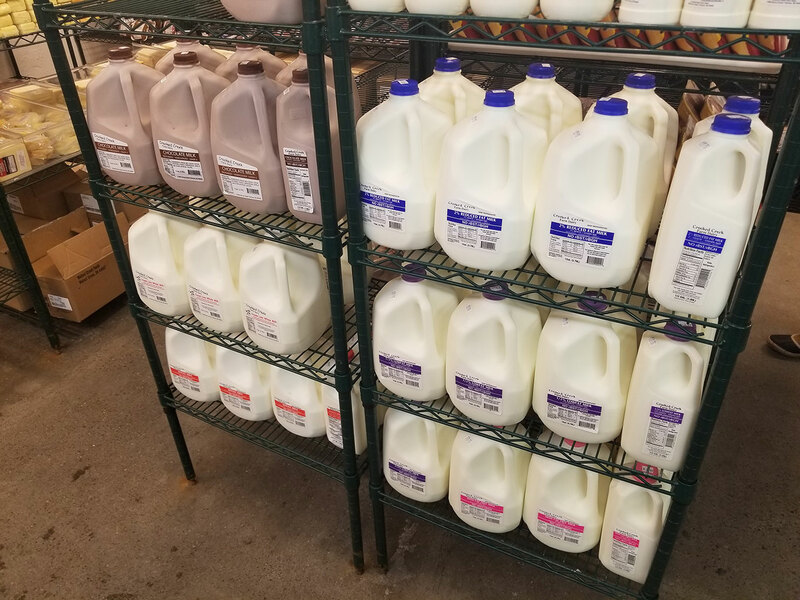 This milk is from non-GMO fed cows and they do not use the rBST/rBGH hormones. 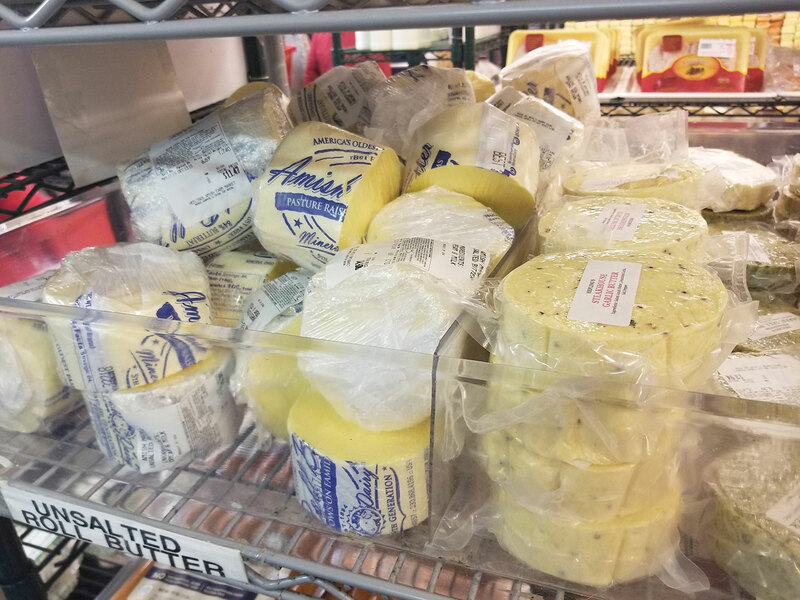 We carry Amish roll butter in salted, unsalted for baking and seasoned butters for added flavor! 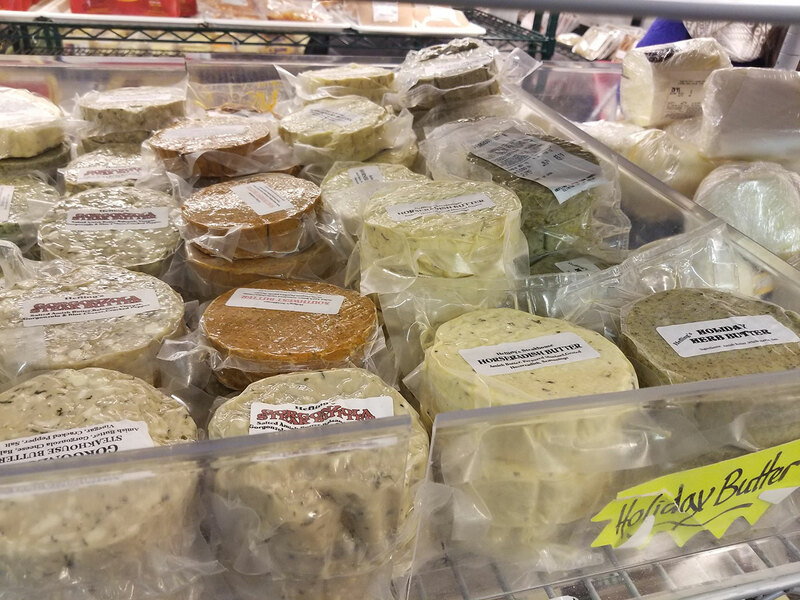 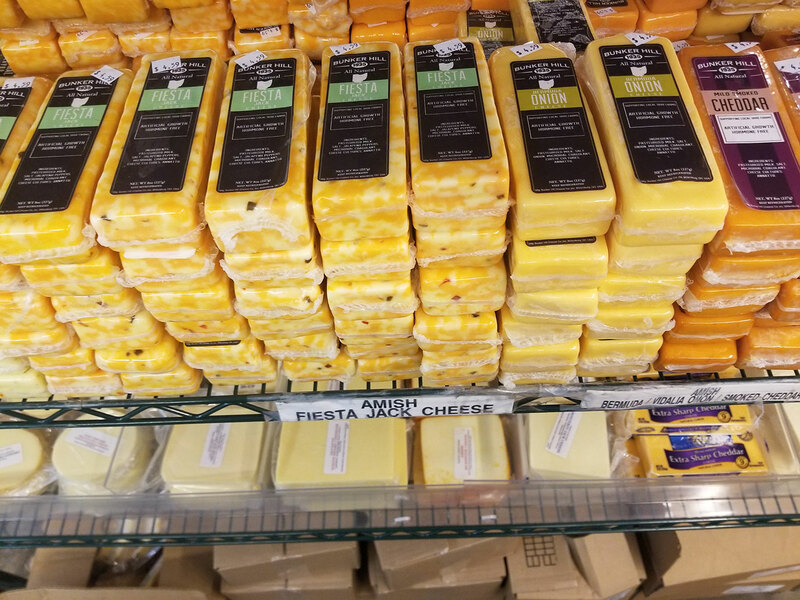 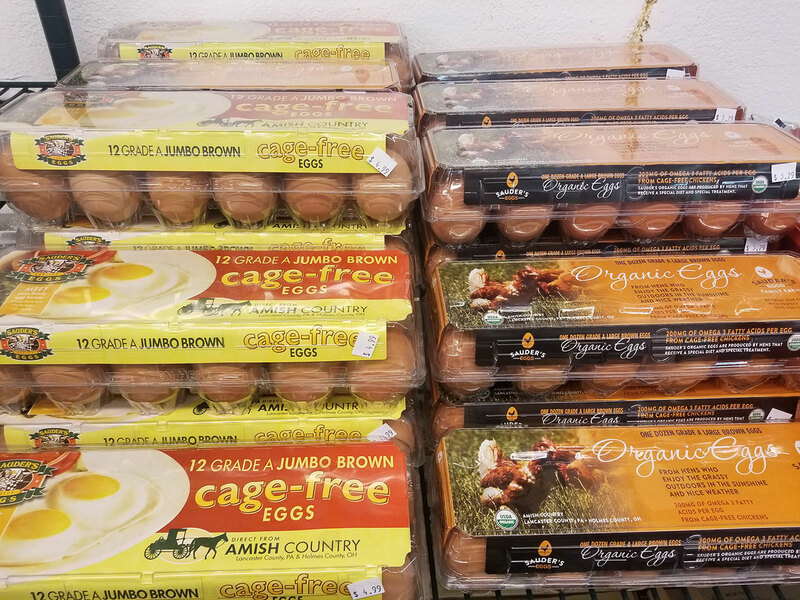 We sell Heini's Amish Dairy cheese as well as cage-free and organic brown eggs.